Dr Greg Mannion’s professional career has been in the field of education. While teaching in schools in Ireland (over a ten-year period), he also provided in-service education to primary teachers. In 1999, he completed his doctorate at University of Stirling. 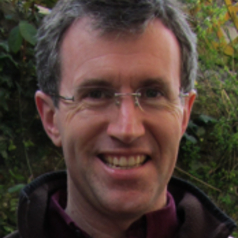 Dr Mannion now works as a senior lecturer in the School of Education teaching on primary, secondary and further education programmes and supervises students at masters and doctoral level. His research draws upon theories of person-place interaction, nature and culture, to look at the ways in which education in places beyond classrooms is enacted and the implications for pedagogy and curricula. In practice, his research often focuses on outdoor and public spaces, including ‘nature’, school grounds, everyday places, gardens, greenspaces, and other community sites. His research considers the implications of participation in these places for learning and for formal educational curricula. His funded research projects and publications have been in the substantive areas of global and environmental education, education for sustainability, place-based education, children’s participation, participatory research, intergenerational learning, and everyday literacies.